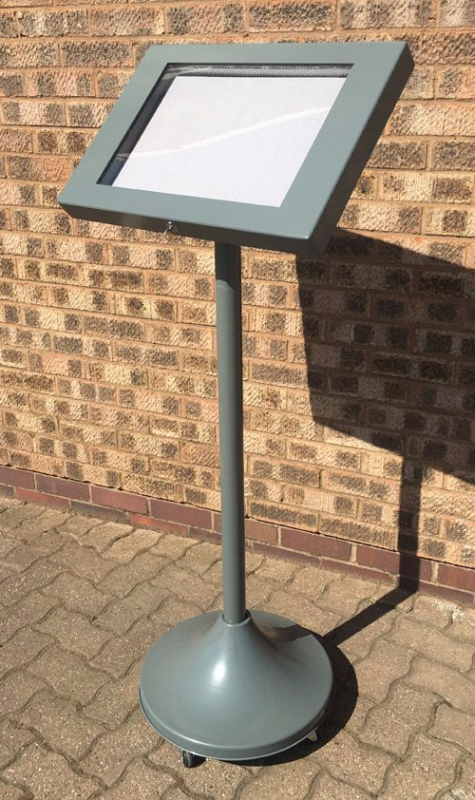 Battery operated Free Standing Illuminated Menu Case with no need for wires. Safe, and suitable for restaurants, hotels & pubs complete with lockable door, vandal resistant and weather proof. This is the solution to menu cases in locations where running 240v cables is not possible. The case is well lit by12 Volt rechargeable battery pack.The charge gives illumination for 18 hours with an on/off switch built in the case. The batteries and the chargers are universally available. You can charge by day, and advertise your menu by night. 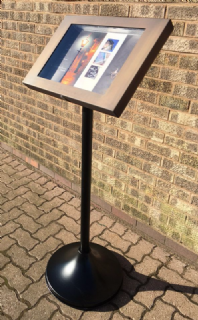 The frame menu case material/colour design is available in polished brass, polished silver, brushed s/s, anodised aluminium with powder coated finish. 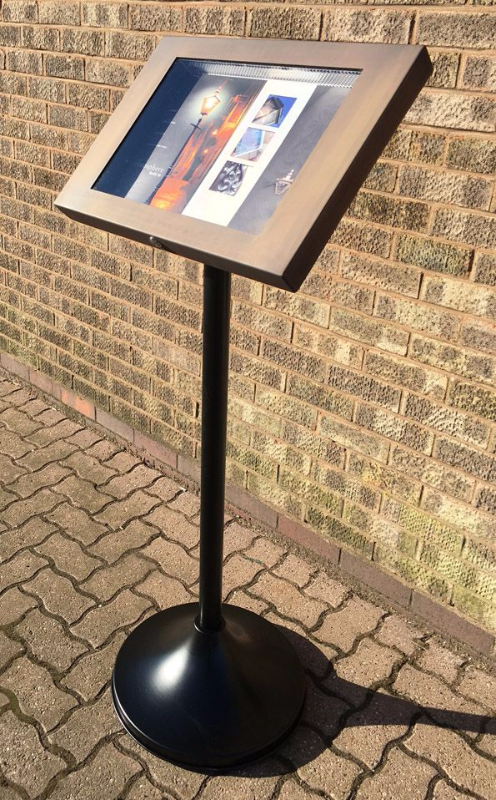 The design will comfortably contain a4, a3, a2, a1 sized menus under a plexi-glass cover that is locked in place. 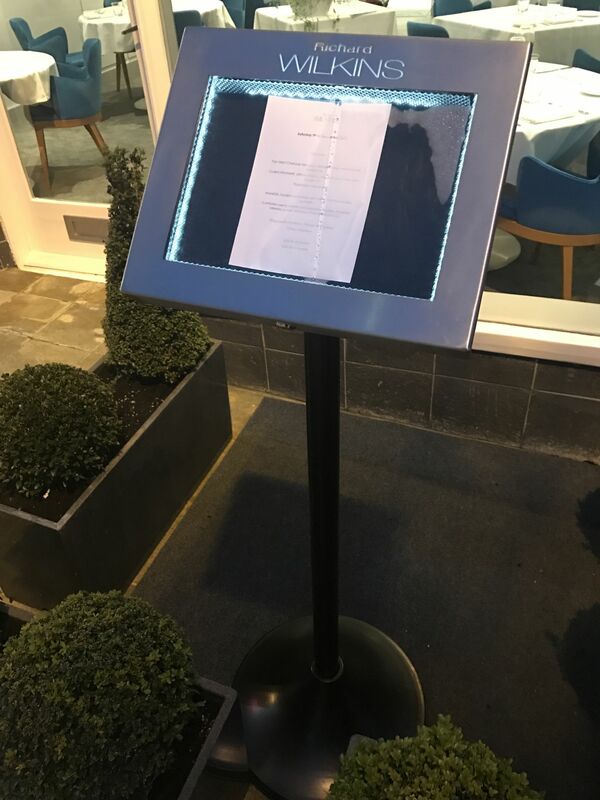 The internal menu display area is a felt type fabric pin board that will make the most of your menu and give it a high quality appearance with easy installation.The case front may be unlocked and opens on a hinge to change the menu or service the light. The stand is 1400mm approx height from floor to top of menu depending on size of menu chosen. The angle of the menu case is 45 degree. Lead time for this product is approx 2 weeks.